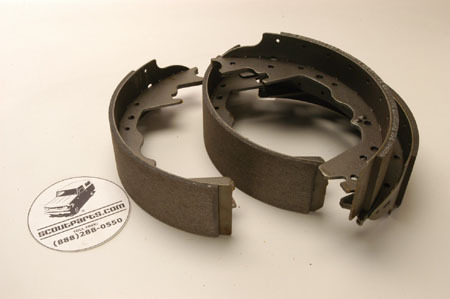 These are brake shoes to fit trucks with Dana-60 rear axle. These come in 2 1/2" or 3" width on the rear; please specify at time of order. (2" available for special purchase using your old shoes, call for price.) The 3" shoes also fit front drums on 1200/1210 and 1300/1310 with front drum brakes. May be either rivetted or bonded as available. Be sure to order holddown hardware and self-adjuster kits to complete your installation!